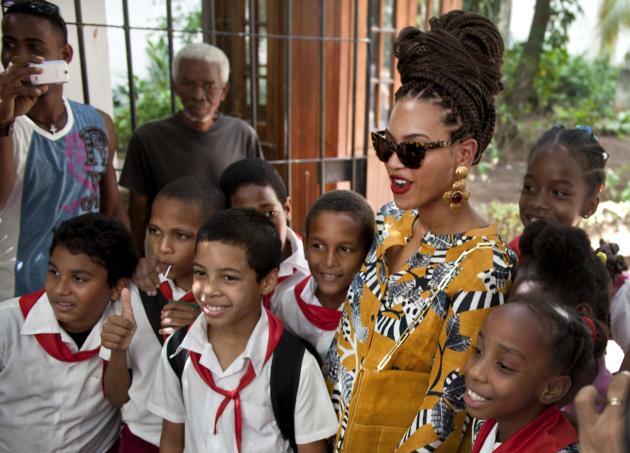 Did Beyoncé, Jay-Z, make illegal trip to Cuba? Got 99 Problems but the State Department’s Office of Foreign Assets Control Ain’t One? Looks like Beyoncé and Jay-Z might not be in trouble with the U.S. government after celebrating their fifth wedding anniversary in Cuba. The musical power-couple – big-time donors to President Barack Obama’s reelection campaign – reportedly drew big crowds as they strolled through Havana last week. The problem? Americans are generally forbidden to travel to Cuba under Cold War era-restrictions typically referred to as an embargo. U.S. visitors can travel to the island for news-reporting purposes or on certain sanctioned cultural missions. If Beyoncé and Jay-Z failed to get official Washington’s permission to travel to Cuba, they could face a fine of up to $10,000. That’s pocket-change for one of the world’s most recognizable duos. On Monday, neither the White House nor the Treasury Department was in an on-the-record-confirmation mood. At the White House, press secretary Jay Carney ducked and danced around several questions related to the visit. The spokesman noted that Obama has eased restrictions on travel to Cuba, but declined to comment on this particular trip. “That’s a Treasury matter, and I would refer you to Treasury,” he said. Treasury Department spokesman John Sullivan, who handles such questions, told Yahoo News he couldn't comment on specific licenses. “Travel by U.S. persons to Cuba is generally prohibited unless authorized under Treasury's regulations” Sullivan noted. If you’re inclined to dig through them, here they are, but it’s probably enough to say that, as part of a 60-year-old embargo imposed after Fidel Castro seized power, Americans aren’t supposed to go there. The embargo, first imposed by Dwight Eisenhower in 1960 and tightened by many of his successors, aimed to punish Castro’s government for nationalizing U.S. property, to dissuade other Latin American countries from following in Castro’s revolutionary footsteps, and, ultimately, to drive Castro from power. Tourism to Cuba -- notably from Europe and Canada -- has increased over the years as the island has seen the development of luxury hotels. Americans have been going there in larger numbers as well, and advice on how to go there illegally has proliferated online (just watch out for the "Mexican death stamp"). With the Soviet Union long gone, Americans have also softened their support for the embargo. That's not to say that everyone approves. In March, Republican Senator Marco Rubio ripped American visitors to Cuba. "Cuba is not a zoo where you pay an admission ticket and you go in and you get to watch people living in cages to see how they are suffering," Rubio said in a speech.